To ensure you're getting the best performance from your Four Lakes label, we apply our adhesive testing expertise to your specific application. We work with you to find the best application for your equipment, testing meticulously, until you have exactly what works for your business. Thorough testing is always recommended to ensure the correct label stock and adhesive selection. The adhesives used on our standard labels (except “removable, ultra removable and repositionable”) are a general purpose, permanent adhesive, which should perform well under normal environmental conditions. If abnormal conditions will be encountered, such as high or low temperatures, please consult us prior to ordering labels. We strongly suggest testing the labels’ adhesive on the item it will be adhered to. Samples available upon request. COMPOSITION - The composition of the substrate that the label will be applied to can have an effect on the ultimate strength of the bond that the label will obtain. Plastic substrates (Polyethylene, Polypropylene, etc.) are not readily compatible with straight acrylic-based adhesives and consequently may not provide the destructibility of a rubber-based adhesive. TEXTURE - Pressure sensitive adhesives require good contact with the substrate surface to obtain adhesion. A rough textured substrate will reduce the amount of surface area the adhesive will be able to contact, reducing the level of adhesion. Rough corrugated boxes, pebbled plastic computer cases, clothing and wooden pallets are all examples of possible problem areas. Label materials with a heavier coating weight or a more aggressive adhesive are available to provide the required adhesion level. SHAPE - The shape of the substrate, along with the size and stiffness of the label, must be considered to ensure proper end use performance. 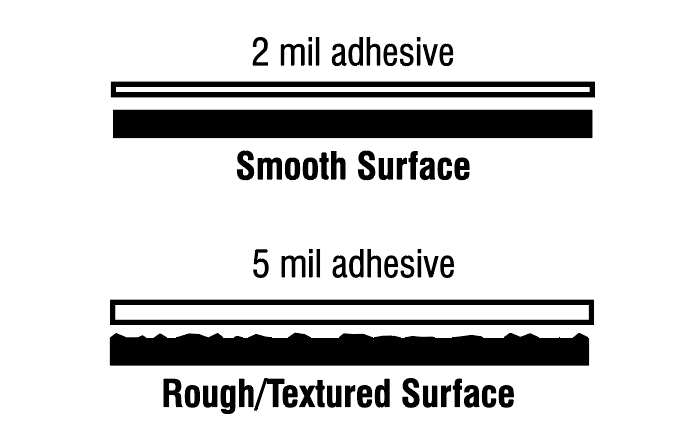 Pressure sensitive adhesives require a short period to flow into the surface of the substrate and obtain maximum adhesion. If a stiff label is being applied to a curved surface, the stiffness or memory of the label may cause the label to lift from the substrate before the adhesive has had a chance to adhere to the surface. Rougher substrates will aggravate the situation. Typical solutions will be to use either a more aggressive adhesive or a more flexible label. CLEANLINESS - The cleanliness of the surface of the substrate when the label is applied will affect the ultimate adhesion of the label and the success of the application. Contamination from dirt, oils, frost and other foreign elements prevent the adhesive from contacting the surface. Also, other contaminants present during the manufacturing of the substrate such as mold release agents on blow molded plastic products and plasticizers in vinyl products will affect the adhesion or reduce the life of the label through adhesive deterioration. All substrates should be clean and free of all contamination. In situations where contaminants are inherent in the manufacturing process, special adhesives may be available to overcome the problem. TEMPERATURE AT APPLICATION - The temperature of the substrate at the time the label will be applied can affect the ability of the label to adhere to the substrate. 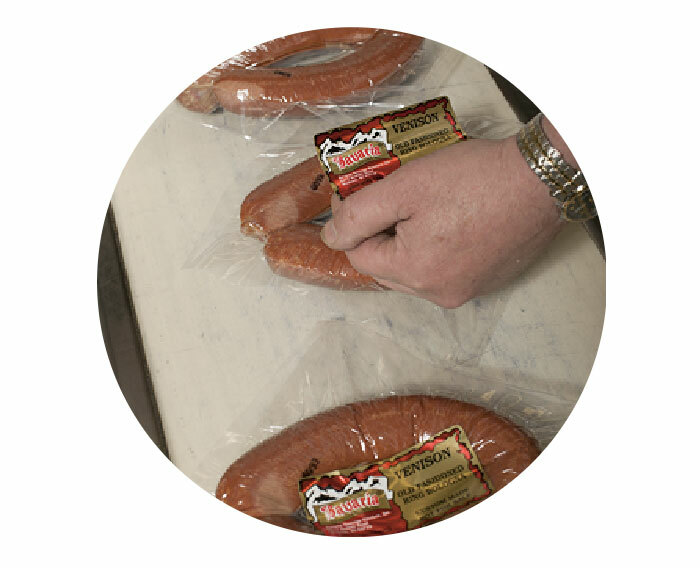 Pressure sensitive labels require the adhesive to flow into the pores of the substrate. If the temperature at the time of application is below the freezing point of the adhesive, the adhesive will lose its ability to grab the surface and will edge lift or fall off. Typical minimum application temperatures are between +40° to +50° Fahrenheit. Special adhesives are available that will provide application temperatures down to -10° to -20° Fahrenheit. Application temperature ranges may differ from the service range temperatures. ENVIRONMENTAL CONDITIONS - Paper label materials are affected by moisture either through direct contact or through humidity in the air. Moisture can cause the paper to deteriorate resulting in a loss of print contrast and barcode scanning. For label applications that require resistance to moisture, special materials are available for most printing technologies that will provide a range of durability. Materials include resin and latex impregnated papers for limited exposure, and vinyls, polyesters, and other plastics for maximum exposure. Many of the label materials can be laminated with a clear polyester to increase the durability of not only the label but the printed image as well. EXPECTED USEFUL LIFE - The environment the label will be exposed to during its life will play a role in the selection of the appropriate label material. 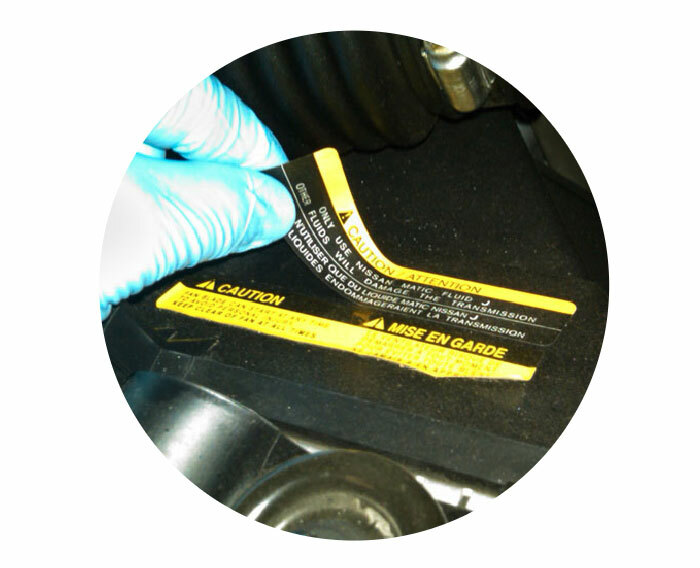 Applications that require resistance to grease and oils, as in labels for the automotive industry, may require either a latex impregnated paper or a vinyl label. Applications that expose the label to excessive levels of abrasion may require either a stronger paper or a plastic. Long term exposure to high heat (above 120°) will cause most label materials to deteriorate and may require a special product. Thorough testing is always recommended to assure the correct label stock and adhesive selection.